In a competitive job market, you need to ensure that your resume stands out from beginning to end. If you include any filler in the document, understand that the hiring manager looking at your resume will probably not hesitate to discard your application in favor of a more eye-catching document. In order to be certain that your resume pops from start to finish, you’ll want to consider swapping out your “objective” section for a summary of qualifications and core competencies section. 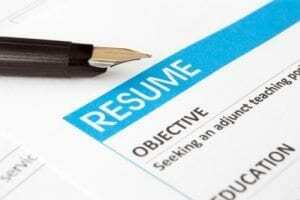 Why get rid of the objective on your resume? Quite frankly, objectives are outdated; your objective is to get a job. Instead of a boring “I’d like to challenge myself in a collaborative environment” (so would everyone), you want to use that space to highlight who you are as a professional and what has made your career unique. This is exactly what a summary of qualifications section is for. It allows you to quickly illustrate your various skills and area of focus, making it quite apparent why the position would be a good fit for you. Adding a summary of qualifications section in place of an objective on your resume shifts the focus from what that employer can do for you to what you can do for them, immediately grabbing their attention. Additionally, many professionals are surprised to learn that an objective has been known to hurt a job seeker more than it helps. For example, if the hiring manager does not feel that their working environment lines up with the goals you’ve listed in your objective, they may discard your resume. Don’t leave your application up for interpretation. Instead, make it very clear what you can bring to the table and why you’d be a good fit in that particular role. We all know how swamped hiring managers are when they’re trying to fill a position. One job can receive hundreds or even thousands of applications, meaning that a hiring manager only has a matter of seconds to spend on your resume before they toss it. If the first thing they see is a generic and uninteresting objective, it’s unlikely that your application will warrant a further scan. But when you speak about your accomplishments and the skills that you’ve honed, your resume will hold a hiring manager’s attention for much longer.